Over my 16 years of teaching, I’ve been blessed to be in the presence and in conversations with Rajashree Choudhury, Bikram’s wife. My first encounter was at Teacher Training, 2001 where she not only taught classes but was the “Mother Teresa” to all 300 of us as she lovingly held us with her kind words and genuine concern in the midst of our long days and nights stressing over dialog and achy bodies. I admired how she worked with Bikram and despite their disagreements on any topic, she held herself always with Grace. She in fact, became a symbol of Grace within the Bikram community bringing some much-needed softness in a very dialog commanding atmosphere. She has a megawatt smile and just hearing her voice provides a soothing balm to a racing mind. She’s fun and loves girly stuff like shoes and pedicures. We’ve had the honor of hosting her three times at BYSJ so, I’ve had the privilege of getting to know her as a kindred Taurus, my age, and now, my friend. Looking back at some of the visits she’s made, I came across some of my notes that carry her wisdom and energy. 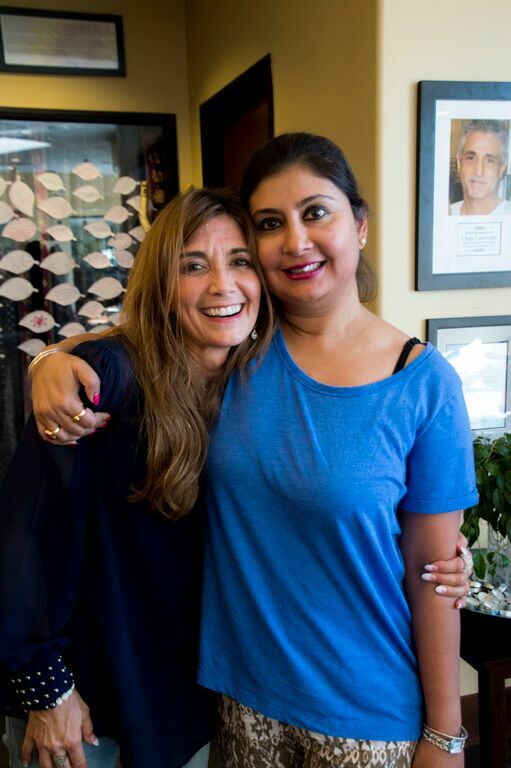 Rajashree is visiting here this weekend, Sunday, October 22nd so don’t miss what might be the very class you need. She will rattle off so many profound comments that you’ll be taking it all in well beyond the class itself. In addition, despite her charismatic ways, she’ll command that you “don’t give up” as she pushes you to greater extents than you thought possible throughout the class. Rajashree will believe in you more than you believe in yourself and that alone will shoot up your determination dismissing any under estimation you’ve had in yourself. Today, Rajashree is out there working on an identity of her own. She leads retreats, hosts seminars, leads panel discussions, attends and speaks at conferences along with being a great mom to Anurag and Laju. In addition, I know she’s spending more time in India increasing her knowledge in Ayerveda and becoming more of an expert herself in the Hindu traditions and the wealth of healing these wise ways provide. 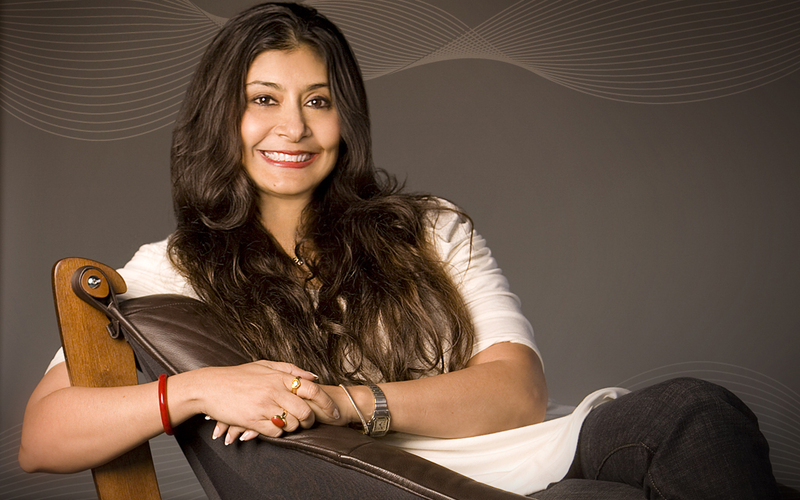 Rajashree exemplifies the strengths woman and really every in general need to possess to navigate well in our modern chaotic world. She’s warm, open and compassionate yet internally she’s very strong and deliberate. With Bikram, class is meant to “kill yourself” and with Rajashree, class is meant to “kill yourself with kindness.” She’s the yin in the yang and quite honestly an approach we all should abide by: it’s not the more active yang that we need today but a more subtle, all accepting, patient yin that will yield us all greater results in all we do. Our world is not black or white. It’s grey. The truth of our existence doesn’t lie in laws or rules but in spirit and character. It’s not easy to be when our world wants us to do. Rajashree embodies a reminder to us all that we are complete as we are now, that anger isn’t the answer but compassion is, that we can live side by side when we accept ourselves fully first. And justice makes it’s way up always not by vengeance but by process, life’s process that continually sets things straight beyond our narrow self-centered perspective. Rajashree gets it and is a soul agent lifting us to view things from higher means using our highest potential. I asked her if she wanted to talk about anything in particular after class and she said simply, “let’s just be positive.” Perfect – let’s do class and come out feeling good emotions balanced and live in a state of perfection, one with all and positive! Great article, very inspiring! Thanks Michele!! Wife and I will be attending this Sunday!! !